The end of 2008 found John Gambini sitting in a doctor’s office, reading an article in Texas Co-op Power Magazine about the fledgling olive oil industry in Texas. John loved the romance of the Texas Hill Country and had already decided that he wanted to plant firm roots in the area (pun intended). But more than putting a stake in the ground, John wanted to do some pioneering, accomplishing something that would stand out from other Hill Country offerings. 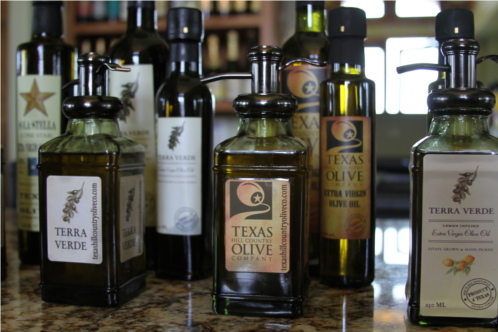 After reading the article, he realized that he could be one of the early pioneers in the olive oil industry in Texas. 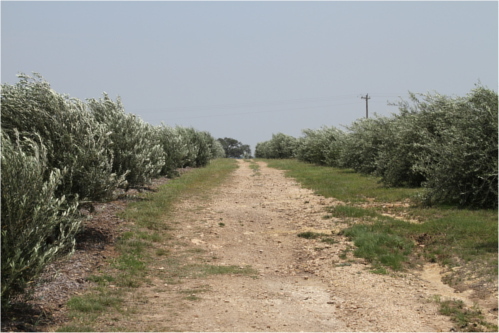 So John set out with a dream: to create a destination-class olive oil business here in Texas. 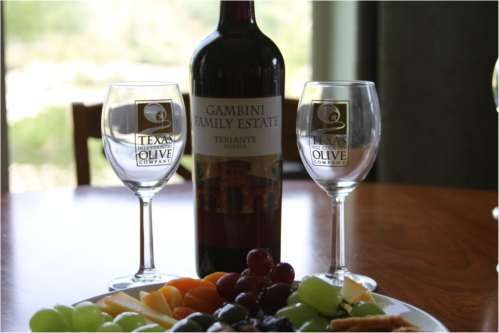 Little more than four years after reading the article in the doctor’s office that day, John Gambini’s Texas Hill Country Olive Company has become a destination in the heart of the Texas Hill Country. 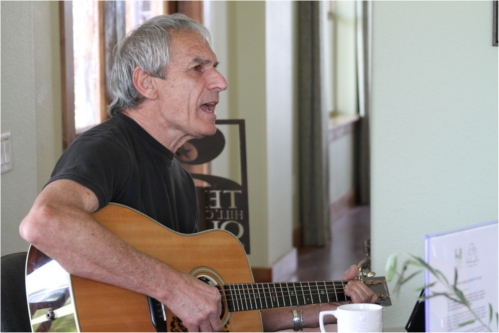 Partnering with his brother-in-law Rick Mensik, John started the company in 2009. 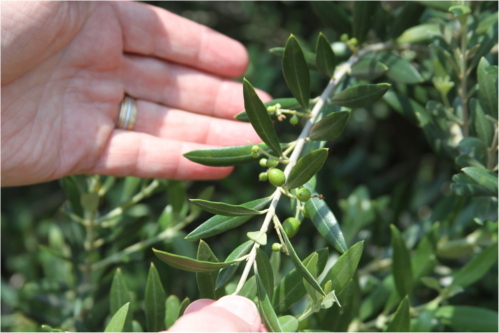 Today, the company has 17 acres, 16 orchards, 2,000 olive trees, and a gorgeous 6,000 square foot hospitality center. The only certified organic olive tree orchards in Texas are plainly visible to the right of the parking lot as you enter the building. It’s not uncommon to see tour buses and limousines line up outside the entrance, and there’s a good reason for that. Within the building, you’ll find much more than you expected. 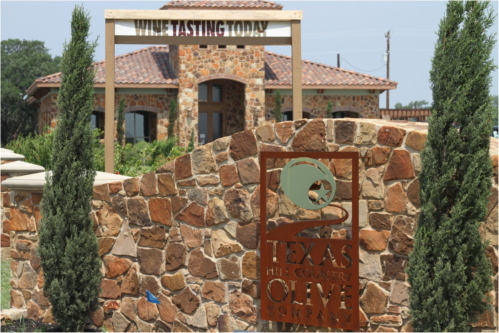 Texas Hill Country Olive Company seems to have it all. 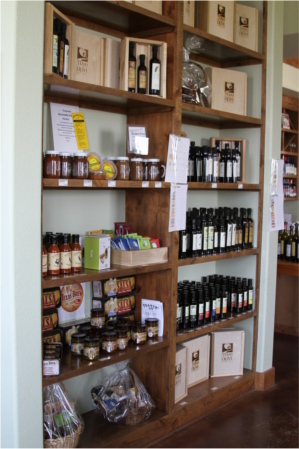 Live music, fantastic food on a bistro style menu, wine tasting, a store featuring products made with their olive oil, and sampling after sampling of some of the most delectable balsamic vinegar and olive oil you’ve ever had. Not to mention that they also host cooking classes, ladies night, and even karaoke. Their private dining and party room seats about 30 inside, but they have seating for over 150 outside as well. If all that isn’t enough, John and company are starting their own winery. They have a white wine coming out soon and have already produced a Chianti that they’ve trademarked “Texiante.” There’s no doubt in my mind that this place will continue to become one of the premiere destinations in the Hill Country. “We’re in a phase of growth; we’ve almost outgrown this space,” says Cara Gambini, John’s daughter. 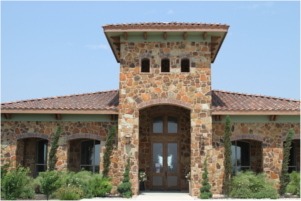 Cara is responsible for business development at Texas Hill Country Olive Company. The rapid growth isn’t difficult to explain. Everything we tried was outstanding. Just when we thought the next sample couldn’t be any better than the last, we were astounded. To be completely honest, I didn’t know what to expect. I had planned on a 45 minute visit, including a tour and interview. Then I planned to call it an early day and head out to The Salt Lick for a late lunch with Brittany. I was really craving The Salt Lick and it was a pretty firm plan in my mind. My plans changed when we got to Texas Hill Country Olive Company. Don’t get me wrong, I love the The Salt Lick and am a die-hard fan of their brisket. But the truth is that I had no idea how much of a destination-type location Texas Hill Country Olive Company really is. 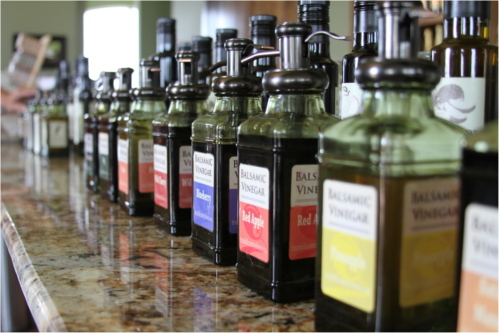 We sampled balsamic vinegar in every flavor imaginable: wild cherry, blackberry, strawberry, peach, pear, and even took home a bottle of the satsuma mandarin balsamic vinegar. 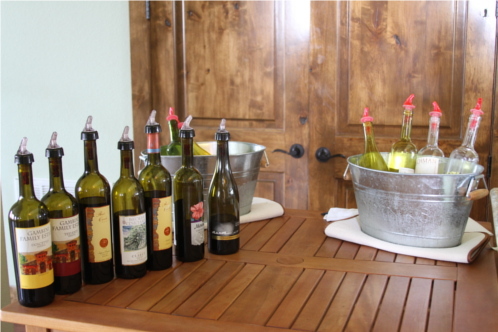 We also tried various olive oils, which were the most rich and flavorful I’ve ever had. 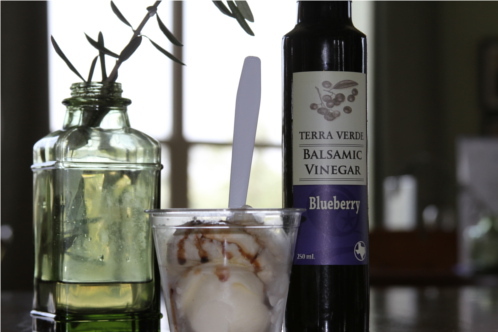 Then there was artisan pizza, gelato made with olive oil and drizzled with the mandarin balsamic vinegar (sounds strange, I know, but try it! ), wine, warm kettle chips with vinegar, and a cheese plate that was out of this world. After we gorged on the the incredible food, we were able to take a tour of the orchards with John and Cara. John explained far more about olive trees than my mind could take in. He knows his stuff. After our tour of the orchards, we got a sneak peak into the processing area, where the creative magic of Texas Hill Country Olive Company takes place. 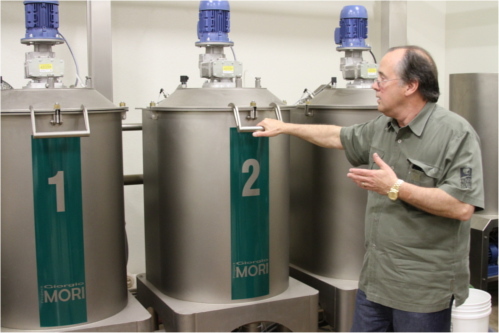 There you will find a $150,000 olive mill designed by John’s mentor in the industry, a master miller with 40 years of experience producing olive oil. It’s the first press that keeps the oil in a vacuum. This is critical because the chief enemies of olive oil are oxygen, heat and light. This technology mitigates those threats. The whole process of making olive oil of this quality is quite complex, but these folks at Texas Hill Country Olive Company have it down to a science. With celebrity chefs like Kent Rathbun, the first winner of Iron Chef, using their olive oils and vinegars at Jasper’s, you know this is great stuff. We were also told that Halcyon’s new San Antonio location is also using their olive oil as well. Nearly four hours after our tour began, our minds were blown, our stomachs were full, and our palettes were spoiled. 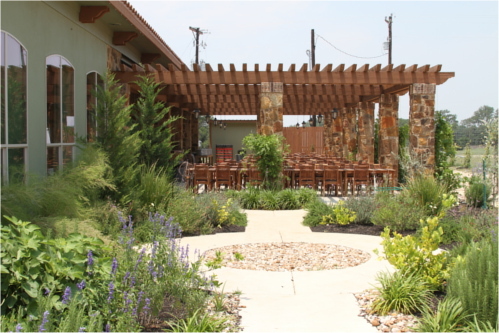 Brittany and I had been taken in by this place and the passion we saw in John and Cara Gambini, and the entire staff at Texas Hill Country Olive Company. 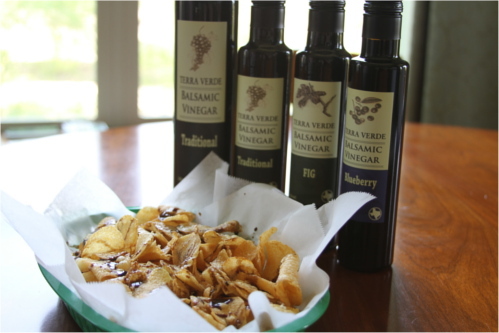 Where Can I Find Texas Hill Country Olive Company’s Products? What is YOUR favorite destination in the Texas Hill Country? Let me know by commenting below, so I can check it out!